If one Scottish children’s author has stood the test of time, it is surely Kathleen Fidler. Adults and children alike will no doubt know her books which are still taught in schools today. This guest article explores her enduring appeal from a teacher’s perspective. Although she was born all the way back in the 19th Century, Kathleen Fidler is still loved today. Her stories are still read regularly by adults and children alike. They’re still found in almost all school libraries; they’re still taught in English lessons in both primary and secondary schools. But what is her enduring appeal? Kathleen Fidler’s stories explore themes of friendship and adventure, family and adversity. 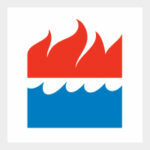 In other words, all the things that still form the backbone of children’s books today. Teachers love her tales with their familiar Scottish settings. Children can learn about aspects of history, geography and Scottish heritage. The Desperate Journey teaches pupils about the Highland Clearances, the dangers of the Atlantic voyage to the new world, and the importance of resilience in the face of adversity. The Boy with the Bronze Axe introduces children to the rich history of Skara Brae and Orcadian myths. 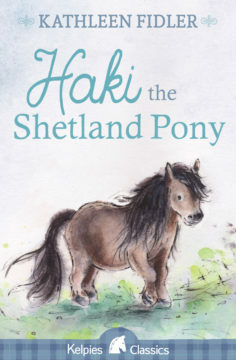 For younger readers, both Haki the Shetland Pony and Flash the Sheepdog tell the story of the lasting and touching bonds that children form with animals. These stories provide scope for pupils’ own imaginations to flourish. They equip them with a wider understanding of the world. How would they survive in the Stone Age Orkney Isles? What would they take with them if they had to leave their home and travel halfway across the world? Children love to ask questions and to both uncover and imagine the answers; Kathleen Fidler’s works provide the inspiration for pupils to develop their own creative writing skills. They might bring Fidler’s striking locations into their own stories. Or, they can travel back to a different period, imagining how characters’ lives are different from their own. The bond between people and animals is a strong and relatable theme for a child, and could easily spark an idea about an exciting adventure story. All of these ideas stem from Fidler’s own gripping stories and engaging characters – ones that are likely entertain and enthrall young readers (and their teachers!) for years to come. Born in 1899, Kathleen Fidler worked as a teacher and then a head-teacher before settling in Edinburgh. She wrote over eighty books for children and, due to both her teaching career and prolific writing, knew well the power a good story has on children. After her death in 1980, the Kathleen Fidler Award was established in memory of her work and to support previously unpublished authors of children’s fiction. New editions of Kathleen Fidler’s Flash the Sheep Dog and Haki the Shetland Pony will be published as Kelpies Classics this April. Fidler’s classic works The Desperate Journey and The Boy with the Bronze Axe are available now. 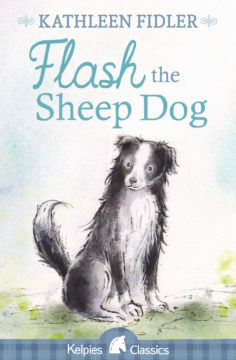 New editions of Flash the Sheep Dog and Haki the Shetland Pony, by Kathleen Fidler, are published on 19 April by Floris Books priced £6.99. 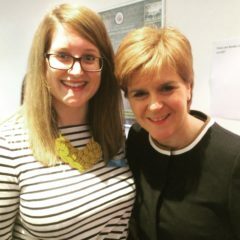 Claire Withers is a former teacher who is currently studying for an MSc in Publishing Studies at Edinburgh Napier University. As part of her MSc she is interning at Edinburgh-based Floris Books.